James (Jim) Smyth was born in 1889 in Ireland to William and Mary Smyth (nee Stuart). James left Ireland with his brother when he was only 14 (around 1902). At some point, sick of correcting the spelling his name, he started going by the spelling Smith. At the time of his enlistment in World War One Jim was working at Levels as a farm hand for his friend WJ Clark. Jim was initially posted to G Company of the 21st Reinforcements in September 1916, and with them no doubt underwent his initial training. In March 1917 he was taken on strength with the 5th Reserve Battalion, NZ Rifle Brigade at Sling Camp, England, where his final training prior to heading to the front would have taken place. Two months later (May 1917) he marched to Codford before proceeding overseas (to France) with the 3rd Battalion Canterbury Regiment’s 1st Company.In March 1918 Private Smith joined No.2 Company of the Entrenching Battalion, serving with them until the end of August, when he went on leave in the UK. In September, on his return, he joined the 2nd Battalion Canterbury Infantry Regiment, where he was posted to the 2nd (South Canterbury) Company. Jim was discharged in New Zealand on 16 June 1919, having returned to New Zealand on the SS Carpentaria in April. He stated his intended address was ‘C/o WJ Clarke, Levels, South Canterbury”. He had served overseas for 2 years and 121 days, plus 149 days in New Zealand. In recognition of his service he was awarded the British War Medal and Victory Medal, sent to him (care of his friend W J Clarke at Levels) in 1924. Between the wars Jim married a Scottish woman, Jessie Dunbar Smith, whom he had four children with. During World War Two Jim again served his country, this time with the 18th National Military Reserve, part of the Southern Military District. At the time of his enlistment on 10 October 1940 Jim, now 52, was living in Burgess Street, Pleasant Point. He was by now working for the Timaru branch of the Public Works Department. He was found fit for home service, but appears to have remained largely inactive until January 1942. In April he was promoted to temporary corporal, which was confirmed the following month. In February 1943 he was transferred to Burnham, where he served with the 7th Canterbury Regiment where he appears to have been assigned to 2” mortars. In April he returned to Timaru, on leave without pay, in order to return to his normal employment, but remained “on strength”. Jim was finally discharged on 6 May 1943, no doubt as part of the de-escalation of forces within New Zealand resulting from the reduced threat from Japanese invasion. His service of another year and 117 days was recognised with the award of the 1939-45 War Medal and the New Zealand War Service Medal. 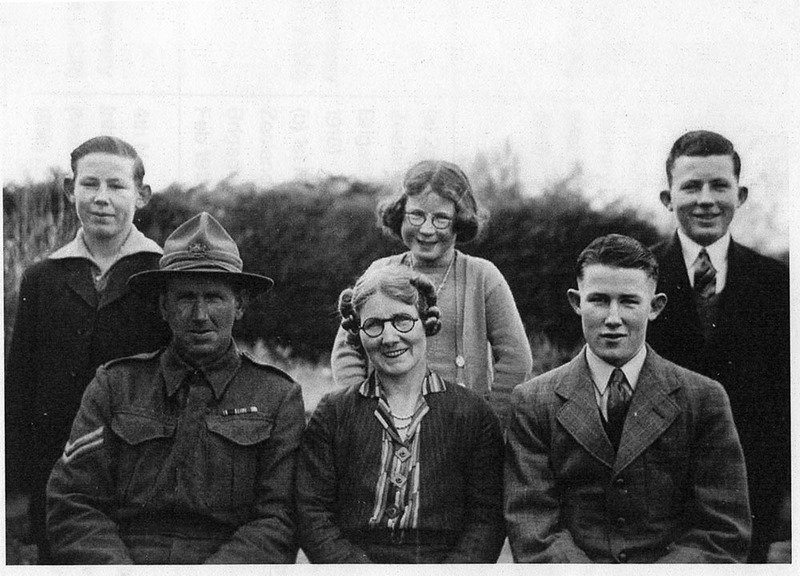 Jim Smith died on 10 June 1968 in Timaru, and was survived by his wife Jessie.